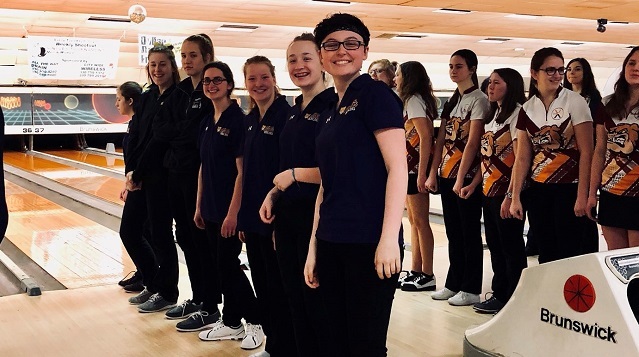 The Saint Joseph Academy bowling program ended its outstanding inaugural season on Sunday at the OHSAA district tournament. The first-year Jaguars competed against the top teams in Northeast Ohio and finished 14th out of 16 on the day. It marked a great end to the season for the team that began as a club sport last school year. The bowling team was led by Mr. Brad Negulescu and made up of seven student-athletes that helped put SJA bowling on the map. A week ago at sectionals, the Jaguars finished as the sectional runner-up to advance to the district tournament which was held in Austintown. Congratulations to SJA bowling on a great season.